We’ve all heard someone shout out Mic Check! …and Bike Check! is not all that different. 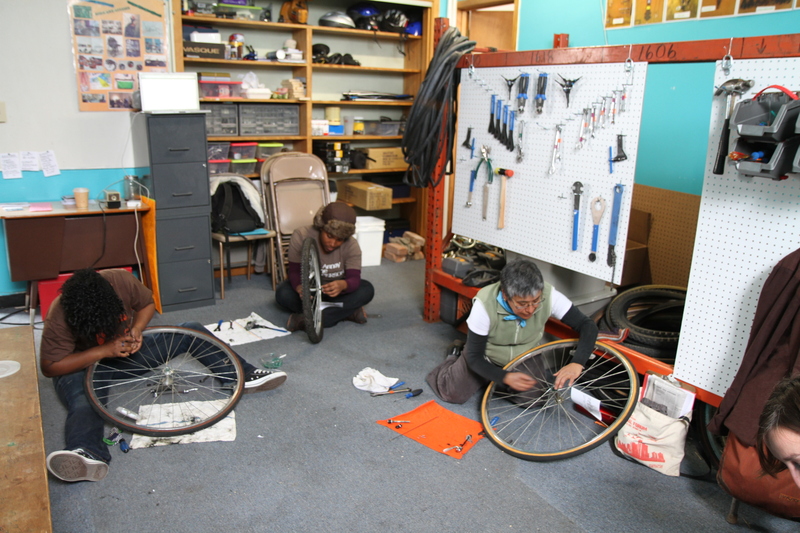 The workshop series will you to test your bicycle for tune-up and mechanical needs to get it road ready during any season. Spring has officially arrived – most us are GEARING UP to take that inaugural spring cruise (if you haven’t already). Do so on a bike that you’ve loved and is going to love you back. Bike Check! happens on four consecutive Saturdays May 9th, 16th, 23rd, and 30th 11a-2p – is open for women, trans*, and queer folks in Detroit to register. 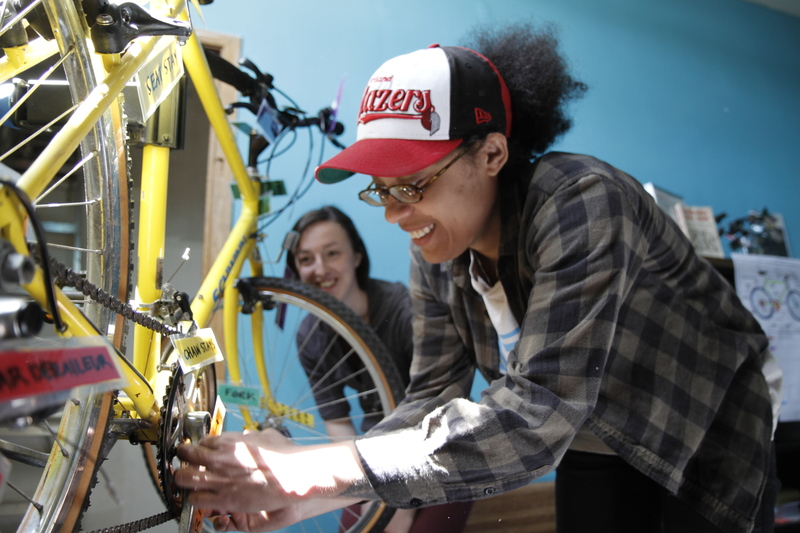 Each class will focus on a certain function and repair of the bicycle, download the May 2015 Bike Check! Syllabus. Registration is due no later than Friday April 30th. 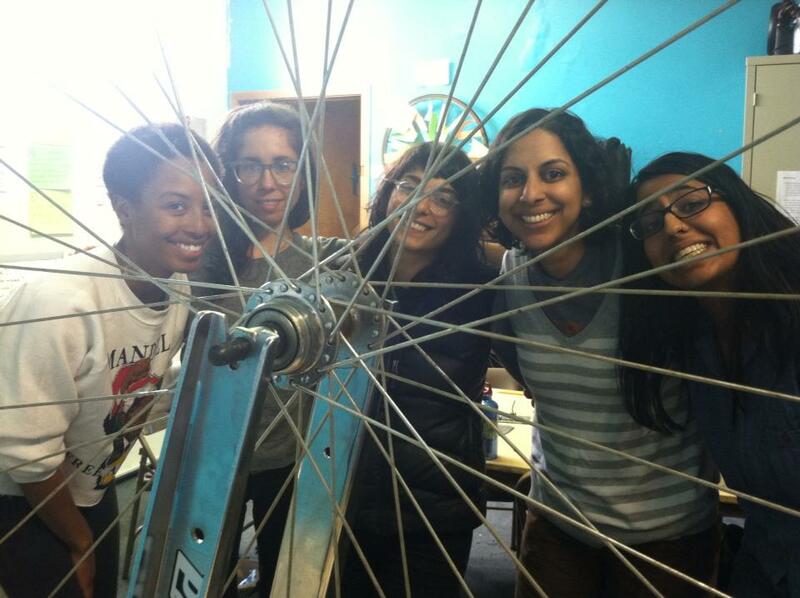 If you’re interested in receiving a registration email, send inquiry to bikesinspace@gmail.com. 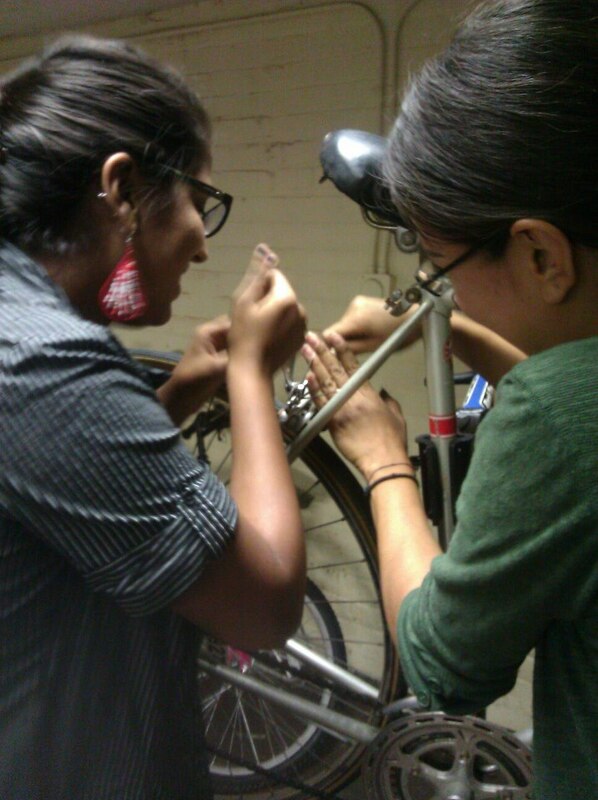 We look forward to wrenching on bikes with you soon! And if you can’t make this round of classes – the series will happen again July 2015. Here’s a few pics below from previous classes too, to get an idea of what you’re in for. Peace. love, and bike grease!